Sometimes I can't help but want a rainy day. Luckily for me, Spring showers have been in full force over the past few weeks here in the "Sunshine State". Nothing makes the day more comfortable than the sound of the rain outside with some good music in the background. Lately I've been listening to Adele's new single "Set Fire To The Rain" pretty much on repeat. This girl has got talent and thank goodness it only took her a couple years to crank out a new record. Considering it is my favorite item on the rainy day wish list, I can most certainly say the Tall Hunter Wellies in Matte Black will be my next purchase. While somewhat more of an expense, these classics will last a lifetime and make sloshing around in the rain a bit more enjoyable. 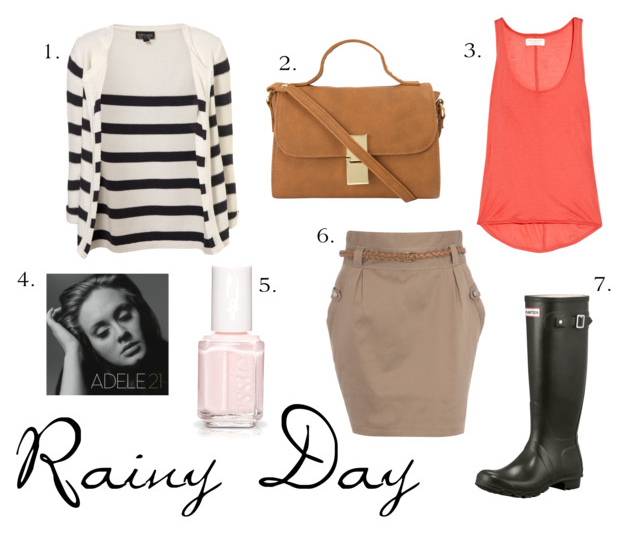 What's your go-to rain essential?